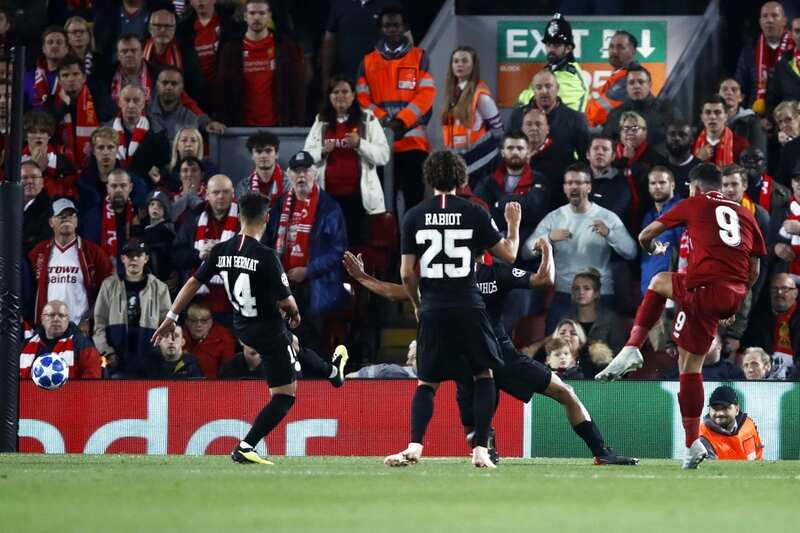 Roberto Firmino’s injury-time winner gave Liverpool a dramatic victory over Paris St-Germain in their opening Champions League Group C game at Anfield. Firmino was only fit enough to be on the bench after suffering an eye injury in the victory at Tottenham on Saturday. But he emerged from the bench on 72 minutes to replace Daniel Sturridge and secure a win that manager Jurgen Klopp. Daniel Sturridge, Firmino’s replacement in Liverpool’s starting line-up, headed them in front from Andrew Robertson’s cross on the half hour, James Milner adding a second from the spot six minutes later after Georginio Wijnaldum was fouled. But Thomas Meunier pulled one back for PSG and then followed by Mbappe’s equaliser late in the game. Liverpool FC proved once more that they will pose a huge threat in this competition because they are capable of scoring goals at any time from any angle from a variety of players. With six wins out of six this season for the first time since 1961-62. Liverpool are sending a message to the Premier League – and now the rest of Europe. FC Barcelona enjoys another breathtaking performance from Messi. Hatrick no 48. Lionel Messi scored his 48th career hat-trick as Barcelona thrashed Dutch champions PSV Eindhoven in their opening Champions League group game. Barcalona’s captain curled home a stunning free-kick to open the scoring before Luis Suarez’s clever 20-yard lob hit the crossbar. The loss left Mauricio Pochettino in a foul mood and had a rant at journalists in the post match press conference. Tottenham have lost three games in a row for the first time ever under Mauricio Pochettino's management.